Now as you know I’m not one of those squeamish women who runs at the sight of other people’s fluids or general household dust. Hello! I hate cleaning and I’ve had more than my fair share of nights out that have ended over a porcelain bowl than I can recall. But one thing I will not put up with anymore is going on dates with sick people. I recall my Biter date of 2009 where I cancelled because I was ill. No amount of make up or home remedies were going to make me look good. He was quick to stay away in case he caught my bug and I couldn’t blame him. But not this guy my precious. No he decided to bring me the gift of his germs. I should have known it wasn’t really a goer. We met on Plenty of Fish and before you all start telling me about your cousin’s friend’s sister’s work colleague that met her husband on POF I will confess that it’s one of my least favourite websites. Firstly it’s free and secondly where else would I see such a large part of the population who proudly describe themselves as having some college or their longest relationship being under a year when they are over 35? Plenty of Fish is where I met the lying Pencil and sadly some guys who are so prolific that they’ve initiated conversation with me more than once without realising that we had spoken before. But this guy seemed different. He had a decent job for one. Or at least that’s what his profile said. Turns out that he had injured his back so was off work on long term sick but seemed to spend an inordinate amount of time on his martial arts and gym activities. 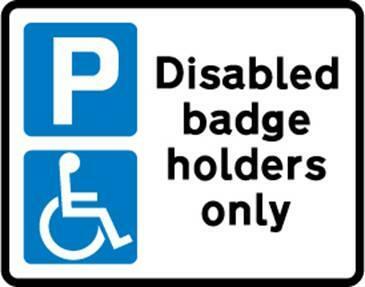 I knew it wasn’t going to work when he took ages to find a car parking space and then whipped out a blue disabilities badge. He proudly told me that it was his Mum’s and that he hadn’t paid for parking in years. I felt like I was on a date with another Benefits Fraud. Then he walked me through Fulham Broadway to….Nandos? I tried not to make eye contact with the staff there as they had spotted me having dinner with another guy that week. My date kept snivelling and I kindly offered him a pack of tissues? But no, he didn’t need tissues. Instead he made me endure a meal with him coughing up phlegm over a shared platter. Now you know how much I love my Nandos my precious but this wasn’t the meal to kick off a great love affair. I listened as he told me why the system and life was against him. Then just as I was about to put a chip in my mouth he spluttered all over it. My meal and this date was over soon after. Call it psychosomatic but the next evening I started feeling ill. I stayed at home cancelling another date that Saturday. I didn’t hear from the blue badge ninja for days in which time I had developed a full case of the flu. When he finally texted 2 weeks later he was surprised that I wasn’t up for another date. So yes it’s cold and flu season and we are all sick. But know this, if you have a cold it is better if you rearrange because there is nothing worse than sharing the joy of germs with a potential lover. But don’t worry my precious, his germs didn’t kill my love of Nandos.